Florida SBDC Network Headquarters (Pensacola, Fla.) – This year, National Hurricane Preparedness Week runs May 6-12, 2018. The Florida SBDC Network, the state’s principal provider of business assistance, urges small business owners across the state to prepare for the 2018 Atlantic hurricane season, which begins June 1 and extends through November 30.According to a forecast by Colorado State University, the 2018 Atlantic hurricane season is predicted to be above-average, with 14 named storms, seven hurricanes, and three major hurricanes. 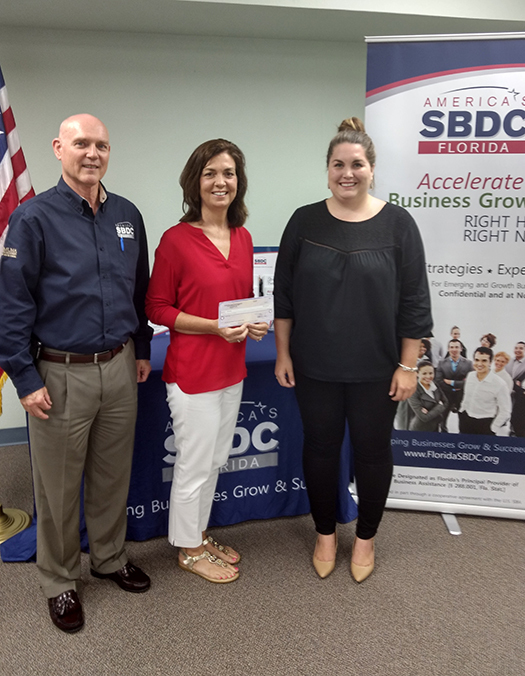 Following Hurricane Irma, the Florida SBDC Network partnered with DEO and Florida First Capital Finance Corporation to administer the Florida Small Business Emergency Bridge Loan and Citrus Emergency Loan programs. The Florida SBDC Network closed 828 Florida Small Business Emergency Bridge Loans totaling $27.7 million and 58 Citrus Emergency Loans totaling $7.08 million – a combined $34.8 million in capital that our small businesses and citrus producers desperately needed. 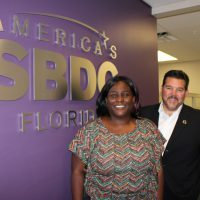 Florida SBDC professionally certified consultants and disaster specialists provided nearly 9,000 hours of direct, one-on-one consulting to help affected business owners prepare disaster loan applications and with other post-disaster challenges. Business owners like Anne Lang, president of Sebring-based Busy Kids Creative Learning Center, an early childhood educational program in Highlands County. “The Bridge Loan was incredibly helpful. Not only did we sustain physical damage, but we had loss of income due to temporary closure. It will help me make payroll – we have 19 employees – and front deposits until the insurance money is available. The SBDC, especially [business consultant] Bill McKown, made me aware of the process, explained the application requirements and assisted me through every step of the loan process. I am very grateful for his guidance and follow through!” Busy Kids Creative Learning Center re-opened on November 6. To learn more about National Hurricane Preparedness Week and ways to participate, please visit www.weather.gov/wrn/hurricane-preparedness. To learn about a sales tax holiday for hurricane supplies June 1-7, please click here. For more information regarding the Florida SBDC’s Business Continuation services and Bizaster app, please click here.